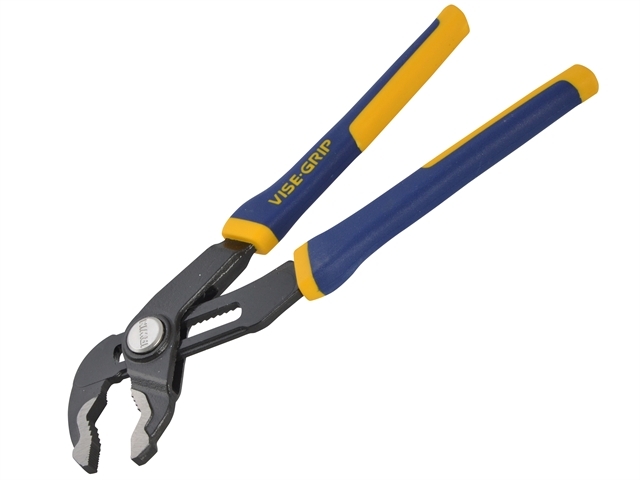 Irwin 250mm (10in) Groove Lock soft-grip pliers. 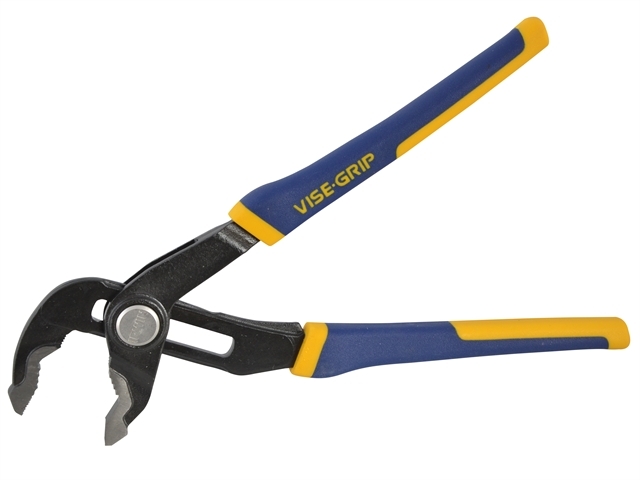 •The Vise-Grip Groove Lock pliers are designed with twice the groove positions of traditional groove joint pliers to deliver optimal hand and jaw positioning which provides a superior grip. 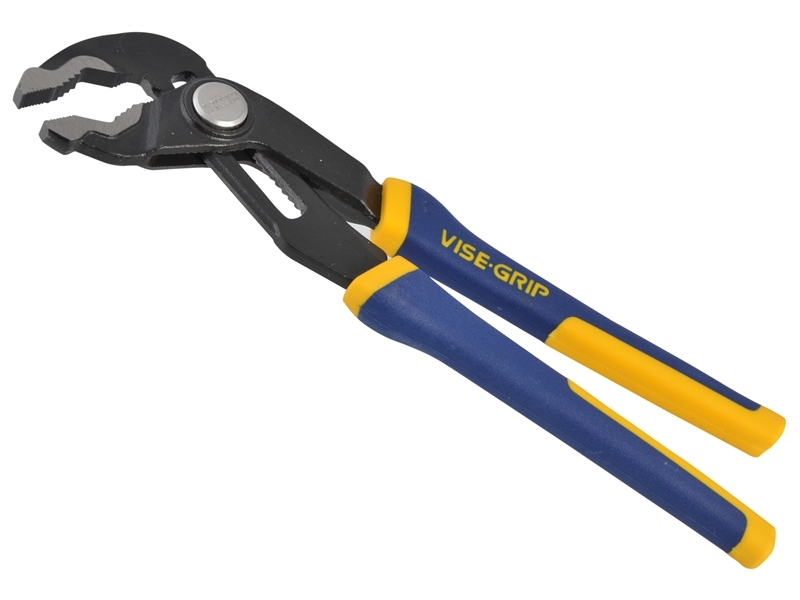 •The all-purpose jaw grips onto flat, round, hexagon and square work pieces to provide tremendous grip. 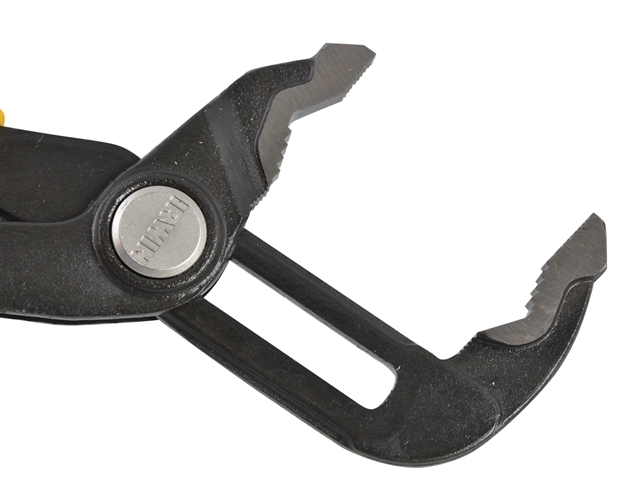 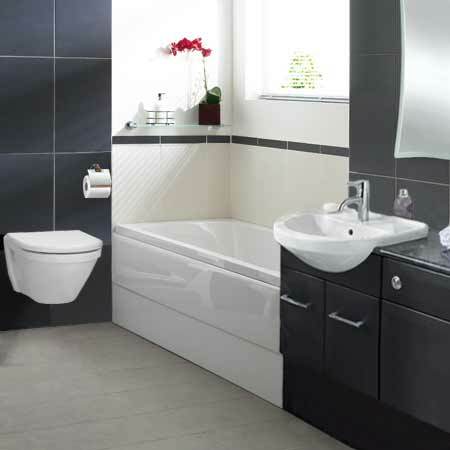 The quick adjusting Press-n-Slide button quickly adjusts the lower jaw.